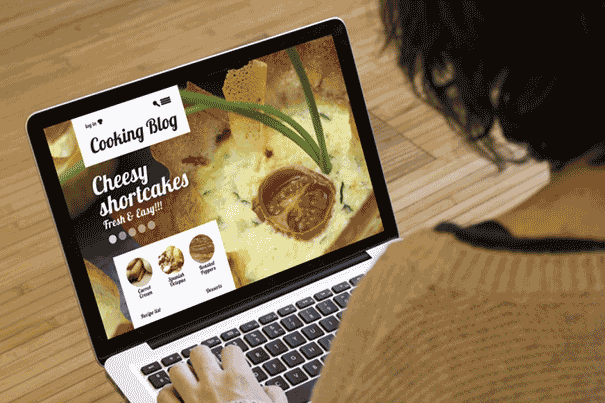 Having a personal blog site has become a trending during the latest years. People use it to record their daily activities, to showcase their expertise, to contact with friends and to make money online. 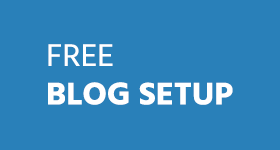 With the increasing popularity of the personal blog, there is a confusion that bothers many new bloggers – should I try a free blog hosting to save budgets or purchase a paid one to guarantee the proper blog running? To resolve this issue, I’ve come out a detailed introduction of the strong points and shortcomings of these two hosting types, helping you understand when you should try the free hosting and when you can try the paid option. If you go with a free blog hosting, then it means that you can enjoy the hosting service, usually the shared web hosting, to set up your self-hosted blog site online without charging. This way, you can have your pre-determined domain name, own the full control over the blog, install whatever plugins and themes you like, and do anything you want with the webpage and content. Among these, the best thing is that you do not need to spend a penny to pay for the hosting solution. Even, your domain name might be allowed for free by your web host. Sounds great? Yes, free hosting is surely a fantastic option. But before going with it, simply have a look at its drawbacks listed in the following. Limited server resources – Generally, free web hosts put thousands of blogs into one physical web server, meaning that your allocation of disk space and monthly bandwidth is really limited. Therefore, there are no chances for you to grow your blog and to expand the reader base. Generally, the extreme affordability of a free hosting is only 200 textual-mainly webpages and 400 daily visits. Unstable performance – To be frank, you get what you pay. Even the expensive dedicated hosting may cause downtime, then how can you expect a good uptime by paying nothing? Besides, as you have a large number of neighborhoods in the server, your chances to be negatively affected by their fool operations and massive resource utilizations are increased greatly. Poor technical support – You cannot guarantee that you would never encounter any technical problem during your utilization of the blog hosting. Once you are in stuck, you are hardly to get a helpful hand from the free hosting. Hidden fees – This is a dirty secret behind free hosting. It does not require you to pay anything about the hosting service, but charges you something in hidden when you start using the service, such as the script setup fees and blog backup fees. Expensive renewal fees – Getting the service for free is surely great, but this situation usually only lasts 1 year. After the first year, you have to renew your account, and the renewal price may surprise you with a high rate. Without doubt, the paid hosting contains all the benefits offered by the free hosting, and can guarantee more features, faster page loading speed, higher uptime track record and better technical support than the free one. However, as every coin has two sides, paid blog hosting can never be comparable to free hosting in terms of the cost-effectiveness. After researching on Google and referring to the information of some reliable hosting review sites like LinkedHosts, we have found that the price of blog hosting on the market is around $5- $10/mo. To be frank, this kind of rate is not a huge burden for some experienced bloggers, but may be a hesitation for some budget-conscious people such as the notoriously-poor students. Besides, there are some web hosts offering the so-called full-managed blog hosting, which charges customers around $20/mo. Personally, paying such as high price for blog building is not a cost-effective thing. Paid hosting comes with many great features. If you’re looking for reliable and great web hosting within your budget, check out my guide on cheap WordPress hosting you can trust. Which Option to Choose – Paid or Free? As you can see from our earlier discussed information, both the paid hosting and free hosting have its exclusive benefits and drawbacks. In this case, when make this decision, you should firstly ask yourself about the following options. 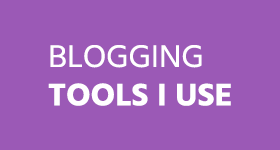 Are you serious about blogging? If you are curious about the blogging world and are willing to have a try, the free hosting is a good option. However, if you are serious about this practice and have a determination to build a popular blog, then use the paid hosting. What you want to do with blogging? In fact, blogging is great method for online money making. If you aim at earning the pocket money or even earning your leaving, then not hesitate to pay for a hosting. On the contrary, if you only want to have a fun from blogging, then there is no need to pay for this. What kind of blog you are going to build? For some small blog site that only contains no more than 150 webpages and 300 daily views, the quality free hosting might be enough. But for some content-rich blogs and medium-sized sites, the paid hosting is more secure. Now, you must know which hosting type is the best option for you. 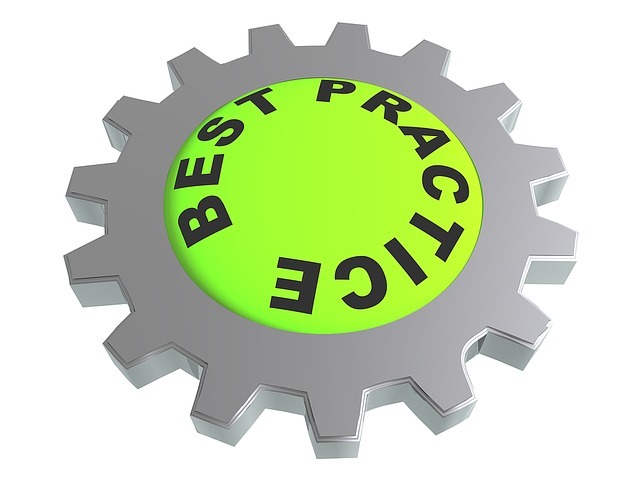 But still, we have one more tip to tell you – make sure that the hosting provider you choose is reliable and quality. If you don’t know where to start, this top-3 award page can narrow down your choices and give your some valuable suggestions. I started my first blog with free hosting but it didn’t turned out well so i moved up with paid one and as of now and with my experience i would recommend paid hosting. Your article is very informative and beneficial! Thanks for the suggestions! Been with Bluehost now for the past 4 years and that all works pretty well, however not paying is always a big advantage, so will have to have a look into it and see if the free options could work. Keep up the good work and hope all is going well with your blog! You said it right bro! Earlier, i used to have free hosting even when i was serious but after lokking at this post i am thinking to go for paid hosting :) Thnx for this post! Thanks for this clear and concise article. I was always under the impression that any serious blogger should be using paid hosting with his or her own domain name rather than a sub-domain. Also, I assume it’s impossible to get Adsense on a free account these days. If a person is serious about blogging, paid web hosting is suitable to him. So he will get unlimited band width, space and many other good features. If he choose free hosting, he won’t have a good blogging career. Free hosting is mainly suitable to those who like blogging as time pass. You covered really a very helpful topic about “Free Web Hosting Vs Paid Web Hosting”. As a new blogger, i know quite nicely which kind of problem newbies face and make decision during the use of Web Hosting. Thank you so much for sharing your clear view on the point of – which one is best for new blogger, Free Web Hosting or Paid Web Hosting. Keep helping us by sharing such stuff. 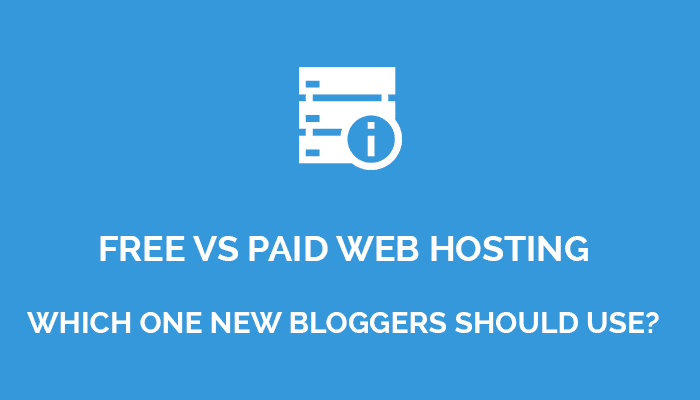 For any serious blogger, paid hosting is the only option. Free hosting is never good enough. I have had bad experience during my early years with free hosting. Don’t make the mistake. 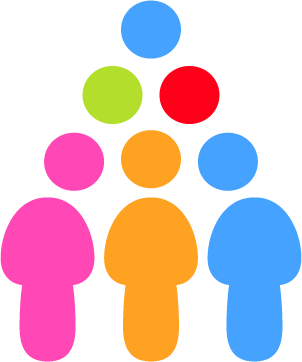 Opt for a reliable shared host: its value for money for a newbie blogger and gives youy total control over your blog. I first used free hosting from the 1freehosting, but many time the server goes timeout, even sometime i faced many problems and had to install wordpress many times. Then I switched to paid hosting and now I am going well. I think one should use free hosting only if they want to check that whether they will blog or not because many time one get a domain and hosting and then they don’t write daily or regularly and just forget. So by using free hosting one can save money if he is not serious. It’s not a good idea to opt for free hosting especailly for your main business site unless you’re really strapped for cash. Even if you are, you can work on a freelancing network such as oDesk or Freelancer etc and get some cash with which to buy a paid hosting. Great article Ammar, thanks for sharing. I started out with a free hosted blog over at wordpress.com, then when I was ready to make the switch from blogging as a hobby to a profession, I made the jump to a paid host. Although it can be a little more tricky to navigate, I think the benefits far outweigh the drawbacks! Bloggers should use paid web hosting for better performance, security and provide better user experience to readers. I also use free blogger hosting when I start blogging. But now I’m using paid HostGator hosting for all of my blog. This line is very true. I’m a student and I’ve been blogging on blogger for a year now but I’ve never had the money to get a paid one. But I think ill start saving for it. Thanks for writing this Ammar. One of the most important reasons to think about while choosing between free and paid web hosting is – how serious are you about your blog / website? If it is not for money-making purpose or a serious hobby, then free hosting is perfect. However, for long-term plans, it is best to go with paid hosting, just like you mentioned. Nice comparison Ammar. But I think it is better to start with paid hosting where the cost has come down like anything. Recently I have purchased WordPress hosting plan from Godaddy @ 99/month. I was simply surprised with the pricing. In fact after that installation og\f WP and other settings are also fantastic. I think as a beginner a basic plan with such price will be a huge boost to anyone blogging journey. That sounds really cool. Most web hosting do offer massive discounts. One should keep an eye on them to find the best web hosting at low price. Thanks for your input, Santanu! i think those new bloggers who cannot afford webshoting should start their blog on blogger with custom domain.Because as you mentioned, there are many problems of free hosting and blogger provides very reliable hosting.And if one install custom domain on blogger, it gives a professional touch to it. Agreed! Blogspot is most recommended for new bloggers if they can’t afford web hosting. One should buy custom .com domain and setup with blogger. Domains usually cost $10 per year but in this way the site won’t be down. Paid Services comes with many more features than free services and paid services are often much faster. Free Services often have many limits or force you to put advertising on your website. Some free services even use your email address and details to add you to advertising spam lists, I avoid the free services at all cost, Thanks for sharing your views!. Glad to hear from you! Nothing is free in this world.. Don’t you agree? If we’re really serious about blogging and want to take our blog to next level. We should be investing some money on reliable and good web hosting like bluehost and hostgator. Paid web hosting never reveal the customer details. So, they’re recommended to use. As you have mentioned, free hosting is suitable to test your blogs or websites. Other all time, we need go for paid hosting. 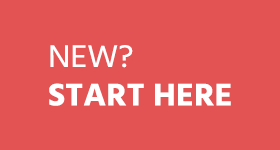 Did you used free hosting, blogspot or paid hosting when you started your blog?